Just like any other woman, Farah Suhaila was passionate about fashion. 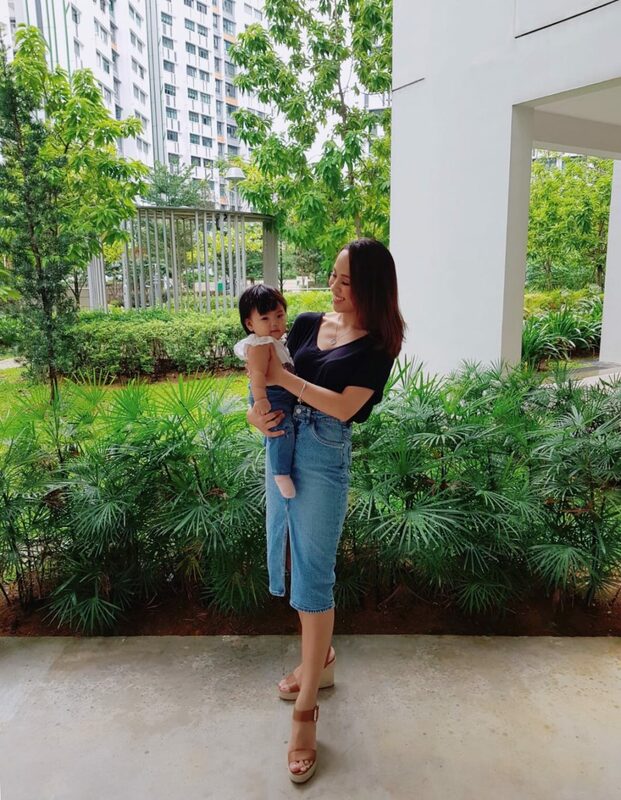 But after she became a mother, Farah’s priorities changed – she dedicated her whole life to ensure that little Eva Arya can have the best of the best. From her clothes, bottles to Eva’s playtime, Farah handpicked each and every baby item that she felt most suited her daughter’s needs. Until she came across a challenge in finding an indoor teepee and took it as a sign to plunge into this gap in the market – that’s when Evanture was born. With her knowledge in business management, fashion and textile, she founded a business that has become a well-known local brand for families across Singapore and beyond. Farah: Hey there! I’m Farah Suhaila and I am 27 this year. 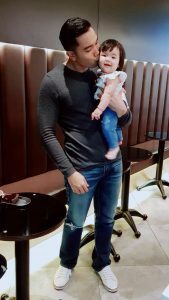 Married my husband in 2016 and we upgraded our statuses to parents in March this year to the most beautiful and precious baby girl – Eva Arya, the inspiration behind Evanture. I studied Business Management in Nanyang Polytechnic and took my second diploma in Fashion Technology in Textile and Fashion Training Centre. Prior to Evanture, I was a Regional Buyer in ZALORA for more than 5 years and have always loved to be in e-commerce since then. The New Savvy: Can you name a person who has had a tremendous impact on you? Maybe someone who has been a mentor to you? Why and how did this person impact your life? Farah: This person is none other than my husband, Fadhirul. We have known each other for almost a decade. Since our early days, I have clearly expressed my vision and aspiration and from then on, he became my support system. Through school, courses and work, he has always been my mentor when needed. It is essential to share your goals and dreams with your other half because in doing so when you hit a bump on your road to success, he or she will be there to spur you on through the tough times. We may be doing different things in life but it is nice to have someone who understands your goals and encourages you to achieve them – all while simultaneously offering emotional support and celebrating your accomplishments with you. This makes you want to achieve better, greater things. Farah: My daughter, Eva Arya, is the inspiration behind Evanture. Since her birth, I have wanted to furnish our home with fun kids’ decor items that can allow her to play indoors in addition to outdoors. Specifically, I was searching high and low for a Teepee but found it very hard. It was then when I noticed a gap in the market – and I decided to fill it in. Currently, Evanture offers over 20 Teepee designs and have expanded our product range to include other kids decor items such as canopies, wall tents, storage bags, wall stickers and mats, just to name a few. The New Savvy: What do you love about your job? Farah: The beauty and opportunity that lies within e-commerce are endless. I am able to reach to my customers anytime and anywhere, or as far as the internet allows me to. Unlike physical shops, the internet does not have any opening hours. My online store is always open – so that just maximises all possible potentials. Being an entrepreneur has its own set of challenges that I am always eager to overcome. Personally, I constantly remind myself that there are no failures – only lessons learnt. This to me is an experience that is extremely valuable. And of course, I also love the flexibility I get from working from home. I am able to attend to my daughter, family, housework and my business whenever I need to. The New Savvy: What prompted you to take the leap into starting your own venture? Farah: The birth of my daughter has triggered quite a big shift in where I place my priorities. Ideally, I would like to spend her early years with her as much as I could so we have decided that it was best if I were to be a stay-at-home-mom for the moment. Being an entrepreneur has also been something that has always been on my mind since I was studying business in school. 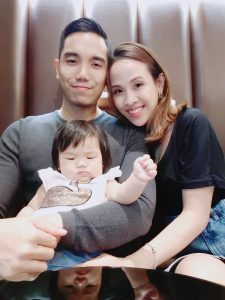 Although being a full-time caregiver to a little baby has its challenges, instead of viewing it as a hindrance I knew that this was the perfect opportunity for me to begin actualizing my dreams. I may have lost some sleep over the past few months but when you are doing something that you are passionate about, it doesn’t feel like a sacrifice but instead an investment. Farah: The best piece of advice I received was from my mom. Since young, she has always reminded me to be sincere. Sincerity comes in many form – mainly actions, thoughts and most importantly – intentions. I feel that it is very important to ensure that your intentions are sincere especially when doing business. You would want to create an honest business transaction and this is something that will pay off in the long-run. Your customers will notice and appreciate you for that. Thankfully I have not received any bad advice or rather, I often turn a deaf ear to one as they come. The New Savvy: How to balance your children and your business? Farah: Being a mother basically, mean that your time suddenly become sacred. I maximise my time by giving my hundred per cent when I interchange between my role as a mother and an entrepreneur. When I am with my daughter, I focus and devote my attention to her with minimal disturbance and I do the same when I am working on my business. That way, I am able to get a lot of things done and ensure that I spend my time efficiently. However, it is also important to take a step back and take things slow when things get too overwhelming. Devote some time to yourself and relax. That way, you keep your sanity in check and you will be able to perform better subsequently. The New Savvy: What do you love most about being a mother? Farah: That is not one thing that I love more than the other. But if I have to choose – it is to love and be loved. To wake up in the morning and know that she is indeed the purpose of almost everything in life. Being a mother also made me realise that I am capable of doing things that I never knew I could. So whenever I feel like I can’t, I’ll just remind myself that I am a mother, and everything else is possible. The New Savvy: Do you think that there are any transferable skills between being a mother and an entrepreneur? Farah: Skills I feel that are transferable between being a mother and an entrepreneur would be time management, discipline and multi-tasking. There is always a to-do list at the back of our mind and we need to find ways on how we can complete those tasks efficiently within a certain time-frame. It might feel hard or even too overwhelming in the beginning, but as you frequent those skills, it actually becomes a routine. The New Savvy: Could you describe one of your typical work days? Farah: I would usually rise at 5 in the morning where I would cook, clean and complete all the household chores before my daughter wakes up at 8 am. I have established a routine with my daughter that we will try to stick to as much as possible. Our routine includes having our meals together at a stipulated time, going for morning and evening strolls at the park, reading and playing. Her nap times are consistent so I would usually nap when she naps, or catch up on some work if it is urgent. My husband gets home at 6 pm and we would have family time together. After putting my daughter to sleep, I would spend some hours working on Evanture before calling it a night. The New Savvy: If you could do things all over again, would you choose the same path for yourself? Why? What would you change? Farah: I am eternally grateful to be where I am today and if I could choose the same path for myself, I would. I think I am at an exhilarating part of my life where I became a mother and an entrepreneur all within the same year. There has been a lot of on-the-job learning and adjustments needed, but I am living for it. Sure, I feel like I am pushing myself to the limit on certain days, but it just goes to show that I am indeed capable of anything if I put my mind and energy on it. The New Savvy: Can you share 3 habits that you make yourself successful? The New Savvy: What is your attitude and outlook towards personal finance? How has it changed over the years? Farah: The past few years has been quite a ride for my husband and I as we were planning for our wedding, honeymoon and home renovation all at once – and now as our family grew in size, there were some financial adjustments that needed to be done. I assume that this is something most young couples have to go through as well. We have always been open about our finances with each other and would start the year with careful annual financial planning that will then be broken down into monthly overviews. We record and track our expenditure, savings, and everything else in between, and try to stick to them as much as possible. On the other hand, I do not spend unnecessarily and would purchase something only if it is justifiable. I feel that money is better spent on investments or shares than material things. Now that we are parents, we have started on financial planning for our child(ren)’s education and future needs. The New Savvy: What is a skill you think all women should learn and why? Farah: Being resourceful is one of the skills that I feel is crucial for all women to learn. Being resourceful does not only make you less dependent on others, but you become a woman of confidence. You are constantly seeking solutions and educating yourself on how to overcome challenges. Doing so will open up more doors and potential opportunities. There are many outlets for you to seek information from. Frequent the libraries, talk to people, go for courses or simply ask Google. The answer to anything is everywhere – you just have got to seek for it. Farah: This may sound cliché, but she is none other than my loving mother. She is hard-working, punctual and rarely procrastinates. These are three of many qualities she has that I look up to, and qualities that I feel are applicable for entrepreneurs. Farah: If you work hard and you do your best, you can achieve anything.